Super proud of the raid team. We’re still only progress raiding 2 nights a week, and holding steady on server 2nd. 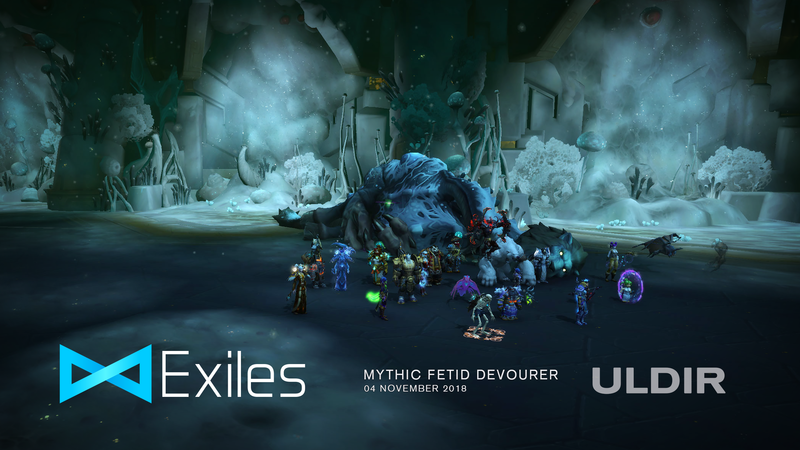 Latest kill – is Mythic Fetid Devourer, to bring us to 5/8 Mythic Uldir. NextLooking for a Resto Shaman and or a Priest! Updated! Antorus: The Burning Throne opens today!